What happens when you gather 940 pounds of litter from a beach and turn the best of that litter into a temporary art installation? 30 plus volunteers have fun, get creative and do something active to help the declining quality of our marine waters. 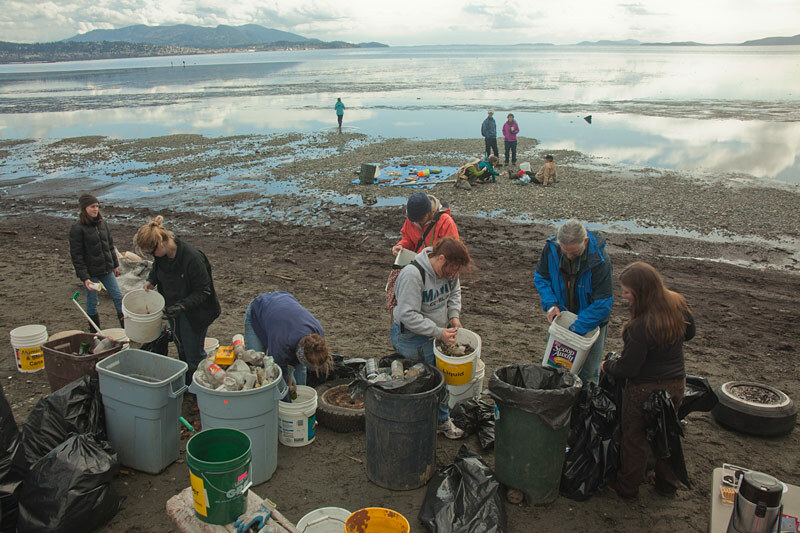 The RE Store’s 11th Annual Recycled Art Show opened with the second annual “Litter Becomes Art” beach clean-up and temporary art installation at Locust Beach in Bellingham. The North Sound Baykeeper partnered with The RE Store along with the Surfrider Foundation’s local chapter. Recycling Disposal Services in Ferndale sponsored the recycling and disposal of the material. Locust Beach in Bellingham, Washington was the fortunate recipient of the group’s efforts. 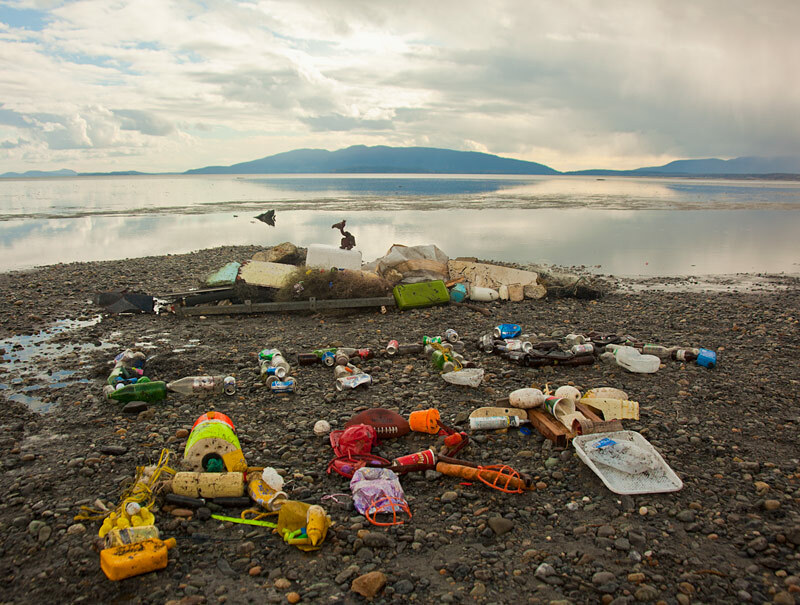 Locust is known as a “collector beach” with wind and wave patterns depositing large amounts of junk that floats in from Bellingham Bay. The mouth of the Nooksack River lies only a couple miles to the west of Locust Beach. 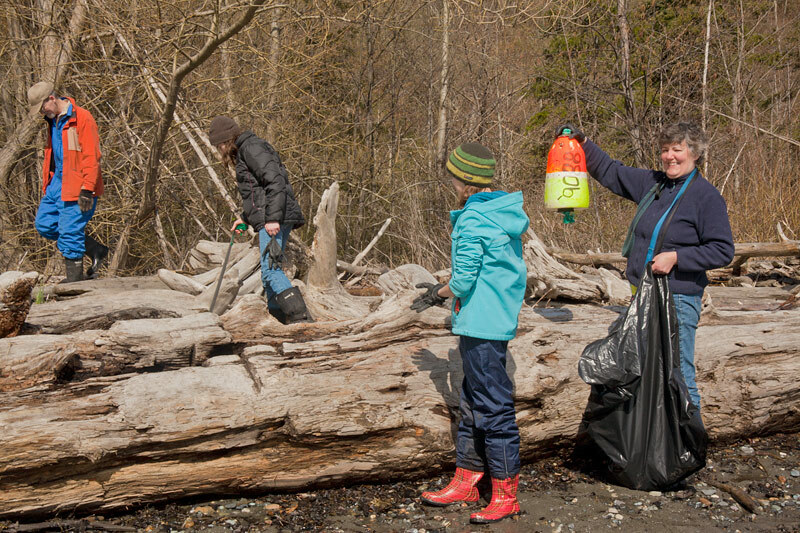 The Nooksack River brings garbage out into the bay from the 82 square miles of watershed that the river drains from. The junk harms wildlife and marine water quality as plastics and other material leaches into the water. In 2011, Kuros Zahedi, led the art installation project at Locust Beach. He has led events like this throughout the Puget Sound region for years in partnership with The RE Store’s Show and on his own. 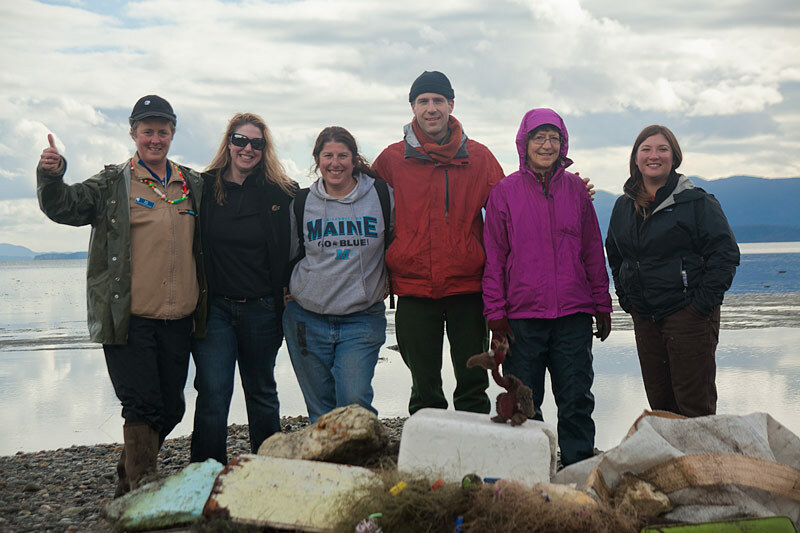 This year, The RE Store and Baykeeper program developed the art installation concept, to mirror the profile of Lummi Island in the distance, with the words, Litter Art spelled out in the foreground. Weather was very accommodating as the skies opening up sunny and blue with a couple brief rain squalls passing through. As the trash was compiled and sorted, the group easily saw the impact that they were having. Dozens of bags, large chunks of styrofoam and fiberglass, tires, and masses of monofilament fishing net piled up high. In the end, the group left feeling like a real difference had been made and enjoyment was had by all. The Western Front even came down to report on the event.